Elder Scrolls IV: Oblivion is a first-person perspective fantasy computer role-playing game set in a vast 3D world with an open-ended storyline that allows the player the freedom to pursue the main quest, side quests, or simply explore the world. The game is set in a different geographic location from the previous in the series (Elder Scrolls III: Morrowind) and in general the architecture and wildlife is more medieval and real-world. The fantasy game art is vastly improved, however, and at the time of its release wowed the world with its realism and attention to physics in its interactivity. 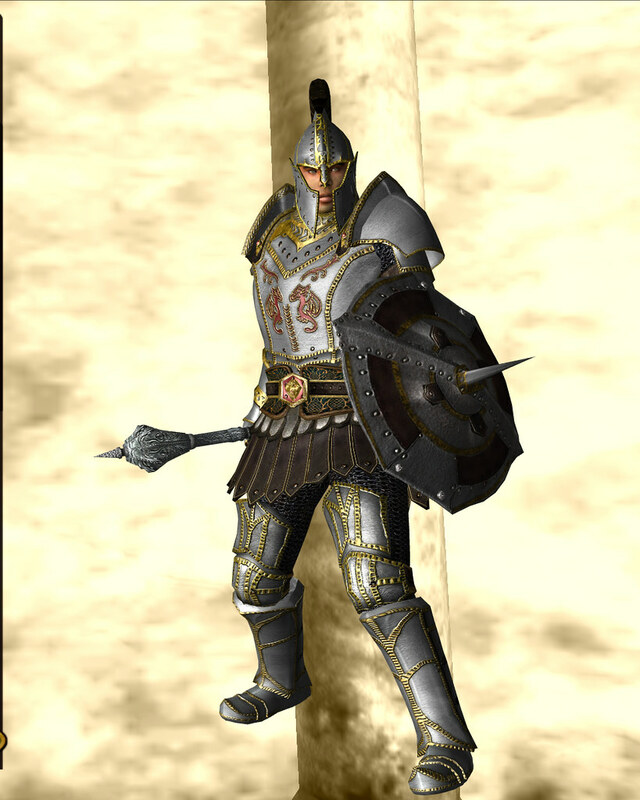 This page shows Imperial City Watch Captain Armor in the game. 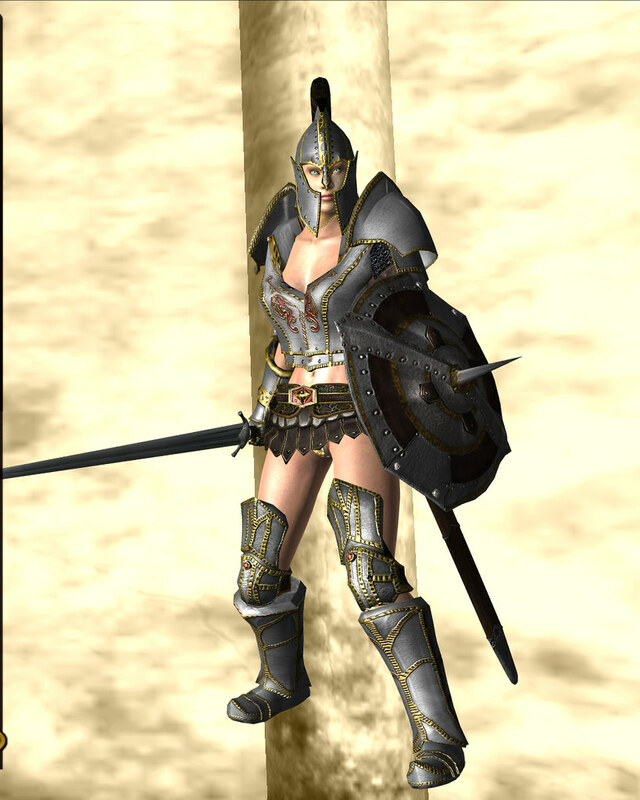 This is part of an extensive fantasy art / game art gallery of armor in Elder Scrolls IV: Oblivion. For an overview of the armor gallery, click here. 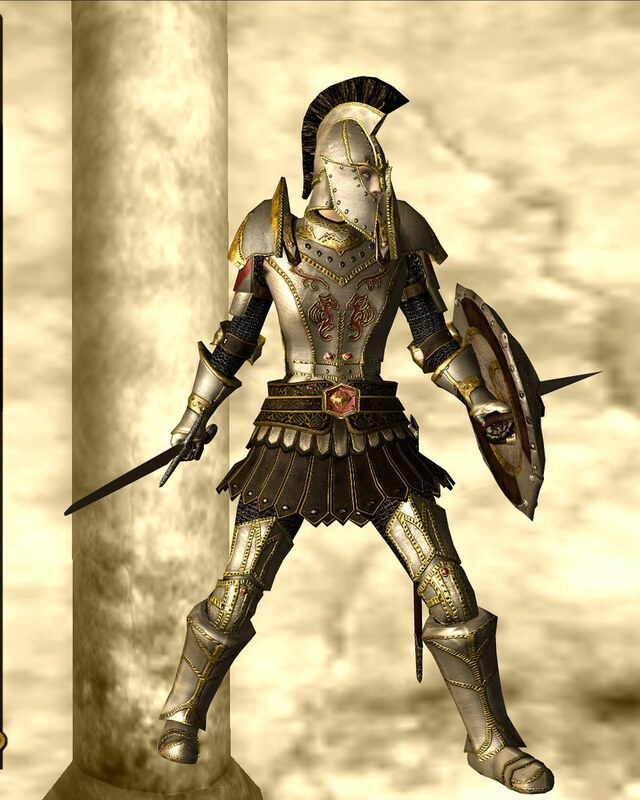 The models in this armor set are recognizably re-textured/recoloured and reused in several other suits: The very similar Imperial City Palace Guard (cuirass design changed), the Imperial Dragon Armor, the Armor of Tiber Septim, and the Emperor's Armor worn by Martin Septim. There is no female version except through a mod. Although there is a matching shield to go with the set, the Watch Captains do not use them because they are all assigned two-handed Silver Weapons. The Palace Guard does, however, carry this shield.